The next Valais English Club Meet Up will be on Saturday 23rd June 2018 at 18:00 and will take place at Les Iles restaurant. 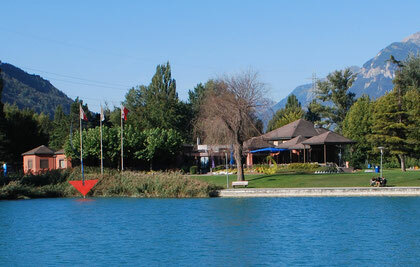 This is an outdoor restaurant right by the water in a green park just on the outskirts of Sion. These Meet Ups are a great way of making new friends while speaking English over wine, music and fun. They are held each month in the Sion area. Past events have included ski days, meeting at Carnaval, snowshoe walks and more.